When planning our move to East Tennessee, we asked several construction sub-contractors which General contractor(s) they recommend, and which one they prefer to work with. It was encouraging to find from architects to framers, from excavators to masons, the overwhelming response was Brooks Builders of Greeneville. Having come with experience in the custom home building arena, once our blueprints were completed, we were very pleased to sit down with David and discuss options, plans, and ideas. We found David to be straight forward and direct in his suggestions and in full agreement with the things that we expected and wanted in our home. Early in our discussions, with exception to the ‘footprint’ of our house, it was clear that we might change some of the ‘design features’ as we went along. As the house evolved. David was always very supportive of those changes and our ideas, and directed us to companies that would best be able to fulfill our desires. 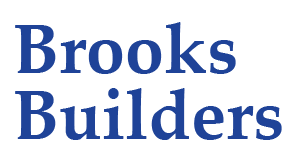 The Brooks Builders and Brooks/Malone employees that worked on our project were knowledgeable of their craft, respectful towards our property, and to us. David`s wife Holly was extremely careful with the details of the cost and the billing of each phase of the construction project, and was kind enough to sit down with us and go over every financial detail for our comfort. We were able to be on the job site every day, and we recognize that was very beneficial in avoiding problems that might have come up. Our house was completed in a reasonable time frame and no one was injured on the job, for which we are most grateful. David & Holly have been generous in checking in to make sure that everything is to our liking. We love our beautiful home. 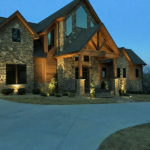 If we were to build another house in Greene County, we would use Brook`s Builders again.